Our Year 6 children have been participating in the Ulster Arts Council's Poetry in Motion programme. It has been a fantastic experience and the children have produced some wonderful poetry. Several pupils have had their work selected (from thousands of entrants) to appear in a volume of poetry entitled The Colour of Light. 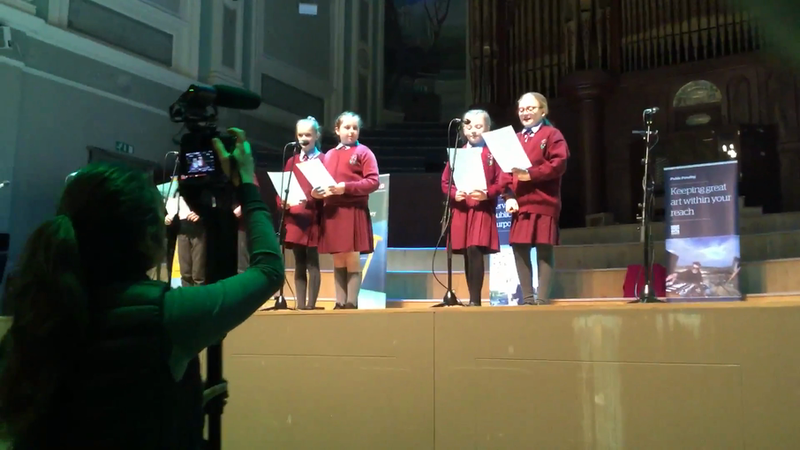 This week, the class were invited to the Ulster Hall to perform their poems to an audience of primary and secondary school pupils from all over Northern Ireland. Well done children!